The bluebirds are already in Santa Fe. They arrive in a fluttering, somewhat pushy crowd, but share the perching places around the rim of the birdbath. 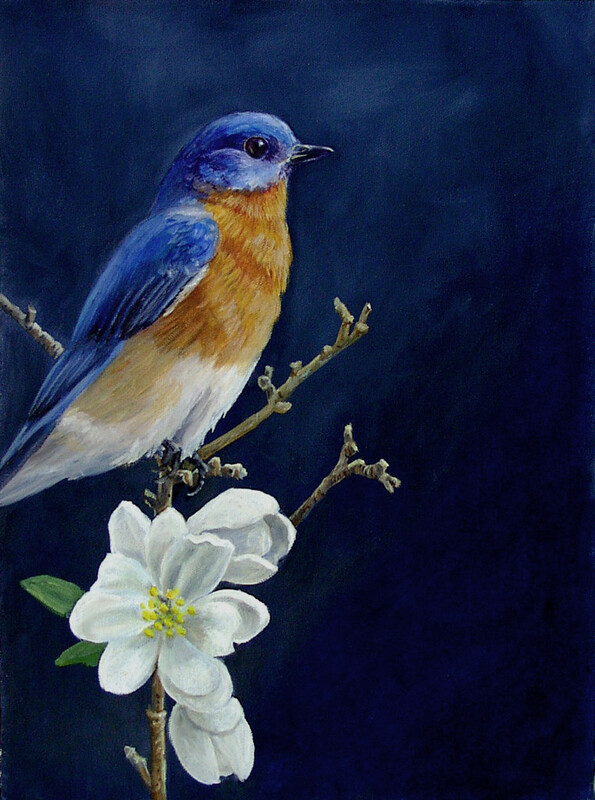 I painted this bluebird with oils many years ago. I’ve painted many bluebirds since but this remains one of my favorites. He is perched on a blossoming apple twig, the epitome of spring. 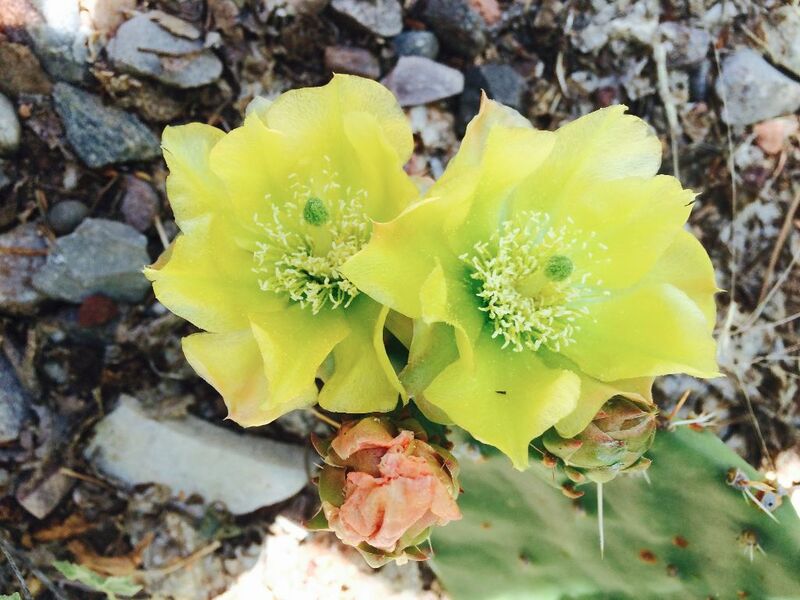 Cactus blossoms are just beginning here. They have a wonderful translucency, but they’re challenging to paint. My plans and projects are pretty clear through the end of June. I’m part of the Santa Fe Studio Tour, a huge event which takes place the last two weekends in June. It will be much expanded from previous years, with several events, which you can peruse at this link. Throughout June during the week Aartz West takes place. It will be rollicking good fun! Aartz West 2017. 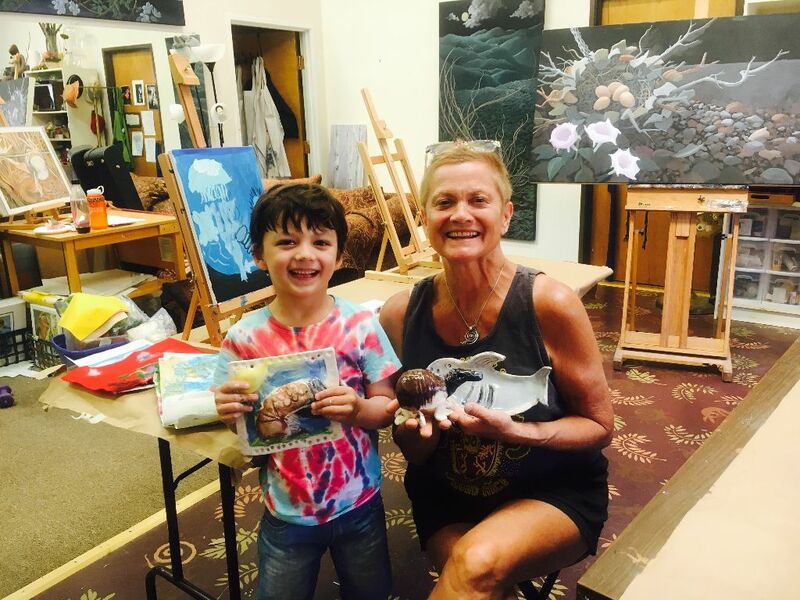 Let your art come out and play! for a 15 % discount. Here’s the link to the signup page. And as always I am available for commissions, painting parties and birthday celebrations for all ages! 130 Lincoln in Santa Fe. I am SO EXCITED to share new work. I will be demonstrating throughout the day at the gallery so come early! I’m so glad you turned your comments on, Liza. So often I’ll see a post but comments aren’t on and I just want to say I enjoy it. Well, I enjoy this! I love the bird. I can see why it is one of your favorites. I’ve never seen a bluebird in person but if one popped in, I’d know it just from your painting. And the photo is wonderful. You look glowing! Do come and paint in northern Michigan sometime in the summer!